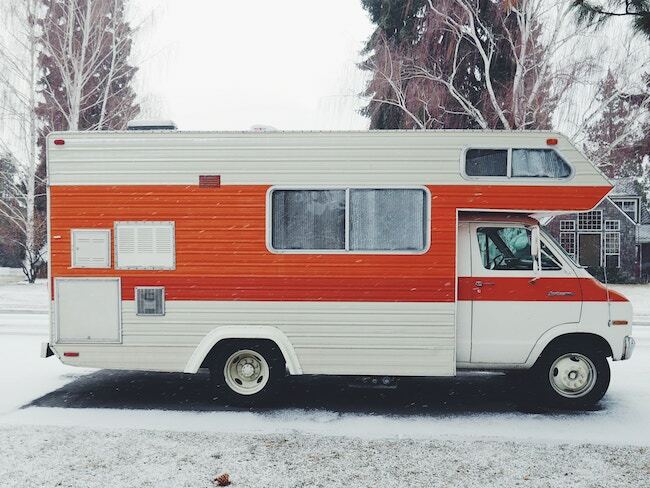 Protect Your RV From Freezing Temperatures! Industry experts are constantly reporting that RV sales are reaching all-time highs, noting millennials as a driving force. That means there are a lot of new RV owners out there, and if you're one of them, we've got some tips for winterizing your RV so that by the time next season comes around, you'll be ready to hit all the two-lane backroads your vagabond heart desires. The only question is: where to begin? The RV is both a vehicle and a living space, meaning there are a variety of systems specific to that make and model. So if you have an owner's manual, always consult that. If you're still unsure, call a trusted dealer. Some RVs have built-in winterizing controls that can make things that much easier. Drain the fresh water holding tank, open all faucets/shower heads, and flush the toilet until there's no water left in the system. Be sure to drain the water heater and then remove inline water filters. Generally, they'll come with bypass hoses you'll need to install in lieu of the filters. Many RVs also have low-point hot/cold drain lines, which you need to open. You can do this by removing the plugs and using your 12v water pump to help flush things out, just be sure to shut it off immediately after the water runs out to avoid damaging the pump. Then, drain and flush your grey and black water tanks at an approved dump station. If you don't have a built-in tank flushing system, use a tank flushing wand. Pro tip: Never drain the water heater when it's pressurized or hot. Consult your owner's manual. Pump RV/Marine antifreeze through your system. Disconnect the inlet to the water pump and connect it to some tubing that's sitting in a jug of RV/Marine antifreeze. Then, turn on your 12v water pump and slowly open every showerhead/faucet and flush every toilet until the pink fluid appears. If you have in ice maker or a washing machine, be sure to consult your manual. That about does it for plumbing – the most temperature-sensitive system in your RV. Don't forget to take the necessary steps to winterize the other systems in your RV, like adding fuel stabilizer to your gasoline or diesel tank! As always, if you're unsure, call your local RV dealer or service station, they may even offer a winterization package so you don't even have to lift a finger. What are your thoughts? Any experienced RVers want to add some tips? If so, let us know in the comments below! Want to hear more about what's going on in Colorado? Did you know about these tiny home communities?